Sometimes concept cars look far more handsome than the eventual product. 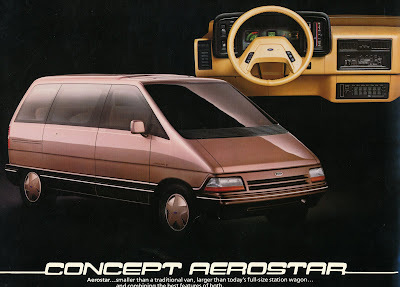 Although the production Aerostar bears a resemblance to the concept much of the execution feels clumsy. Kind of like how some people look acceptable when you leave the party but appear less so the next morning. 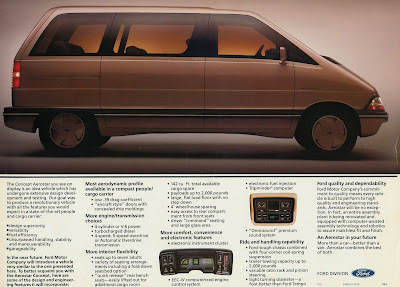 Following in Chrysler's foot steps, the 1985 Concept Aerostar promised a revolutionary people carrier with an optional diesel engine. 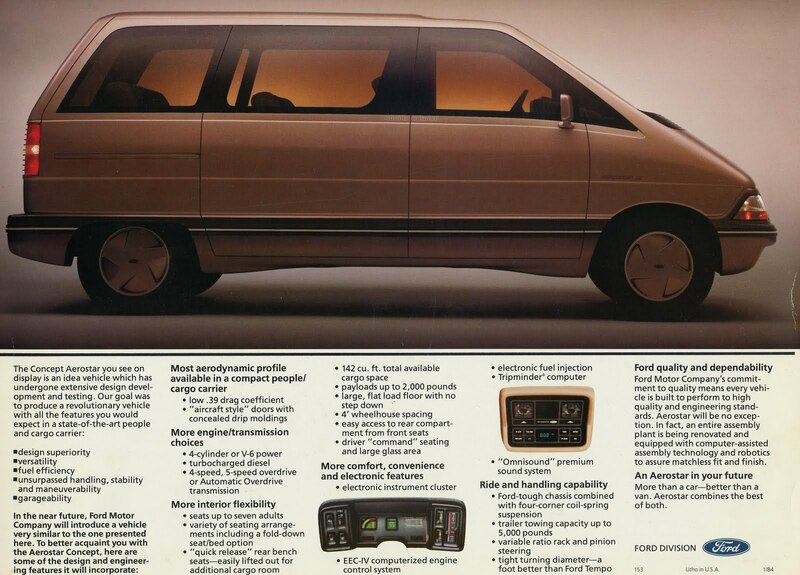 What Ford launched was a small van with traditional underpinnings and slab-sided appearance. It didn't have to be that way. It could have been an '80s futuristic styled oil burner with a manual transmission and full BeaterBlog endorsement. Hopefully any future small Ford vans will not be so conservative.